One finds that both the red El Niño years and the blue La Niña years are getting warmer, but given that we have lately experienced a cluster of La Niña years the overall warming trend over the last ten years is slower. This can be thought of as the “noise” associated with natural variability, not a change in the “signal” of global warming (as discussed manytimes before here at RealClimate). Compare Trenberth’s quote to yesterday’s post on the role of Trade winds in ocean heating. There’s a betting pool forming on when the next el Nino, and the next record warm year, will begin. Hold onto your ice lollies. 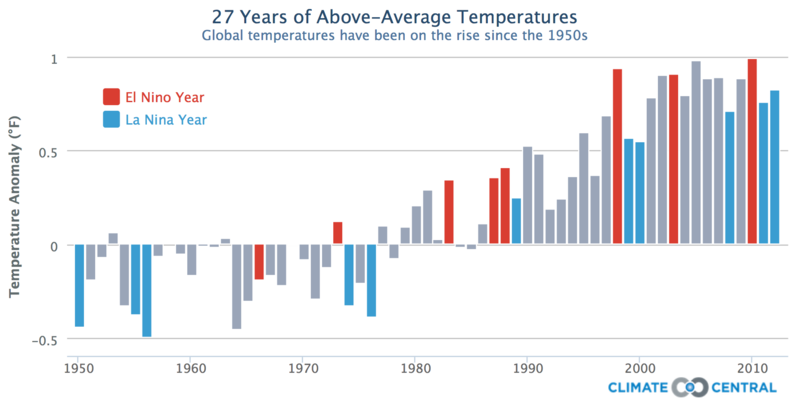 Long-term weather forecasts are suggesting 2014 might be the hottest year since records began. That’s because climate bad-boy El Niño seems to be getting ready to spew heat into the atmosphere. An El Niño occurs when warm water buried below the surface of the Pacific rises up and spreads along the equator towards America. For nine months or more it brings rain and flooding to areas around Peru and Ecuador, and drought and fires to Indonesia and Australia. It is part of a cycle called the El Niño-Southern Oscillation. It is notoriously hard to make a prediction before the “spring barrier” as to whether there will be an El Niño in a given year. “The El Niño-Southern Oscillation cycle more or less reboots around April-May-June each calendar year,” says Scott Power from the Bureau of Meteorology in Melbourne, Australia. But now a model aimed specifically at predicting El Niño seems to be able to sift through the noise by examining a previously-unexplored feature of Pacific weather. 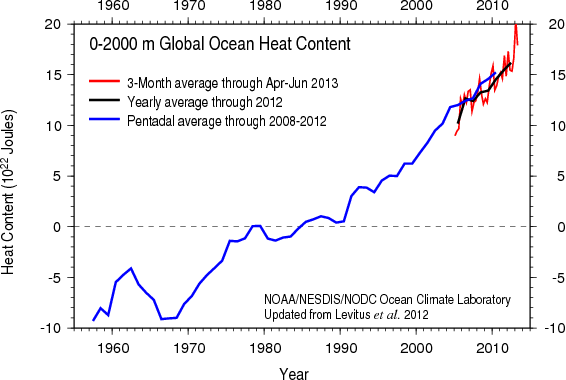 Previous predictions have relied on full climate models. Rather than using this traditional approach, Armin Bunde of Justus Liebig University in Giessen, Germany, and his colleagues looked at the strength of the link between air temperature over the equator and air temperature in the rest of the Pacific. The records showed that, in the year before each El Niño, the two regions became more closely linked, meaning their temperatures became more similar than at other times. The team also found that, once these atmospheric links reached a critical strength, around 75 per cent of the time an El Niño developed within a year (PNAS, doi.org/rdn). “There is certainly a correlation between the cooperative mode in the atmosphere that we measure and the onset of an El Niño event,” says Bunde. Nobody knows why. Now they say the threshold was crossed in September 2013. “Therefore, the probability is 0.76 that El Niño will occur in 2014,” says Bunde. In other words, there is a 76 per cent chance of an El Niño this year. If more heat is stored in the ocean, doesn’t that mean an even stronger El Niño? Possibly. Depends on how much of that heat comes out, how quickly and when and how the atmosphere interacts with it. The same group that is predicting (at 76% certainty) an el Nino late this year wrote a now open access paper in 2013 that explains their network analysis. Ludescher, Josef, et al. “Improved El Niño forecasting by cooperativity detection.” Proceedings of the National Academy of Sciences 110.29 (2013): 11742-11745. Incidentally, if it occurs late in the year chances are that the new temperature record won’t be set until next year as the global temperature spikes only as the el Nino begins to dissipate. One beneficial effect of a return to el Nino conditions is that California can expect some relief from the current drought. Drought/flood. I think the problem is extreme weather is a feature of GW. How to balance it out and survive. I wish the oil exec who said we can adapt to that had to experience it instead of us. rayduray, I agree, an el Nino will benefit California and the US Southwest. However, it may be a bit like an oasis in the desert. Since 2000 the Interdecadal Pacific Oscillation (sometimes referred to as the Pacific Decadal Oscillation) has been mostly negative, and the negative phase has constructive interference with la Ninas, deconstructive interference with el Ninos. Thus while it is in its negative phase we see stronger and more frequent la Ninas, weaker and less frequent el Ninos. So long as the IPO remains negative (and its phases tend to last a couple decades or so), the Southwest should principally experience drought, and as such one would expect the near-term to be dominated by drought. Dai, Aiguo. “The influence of the inter-decadal Pacific oscillation on US precipitation during 1923–2010.” Climate dynamics 41.3-4 (2013): 633-646. However, so far, this negative phase has appeared fairly weak, and it seems that el Ninos may prove to be tipping points of a sort within the time frame of a few months. ENSO also leads the PDO index by a few months throughout the year (Fig. 1d), most notably in winter and summer. Simultaneous correlation is lowest in November–March, consistent with Mantua et al. (1997). The lag of maximum correlation ranges from two months in summer (r ~ 0.7) to as much as ﬁve months by late winter (r ~ 0.6). There also appears to be some correlation over the period of 3-4 years. There is potential a lead-lag relationship between the time variability of PDV2(i.e., the PC time series of PDV2) and N34Var although it does not exceed a statistical significance test. Figure 5c shows the lagged correlations of N34Var with the PC of PDV2. Note that the thick line indicates the 95% significant level and negative lags indicate the N34Var preceding the PC of PDV2. The maximum correlation occurs at lags of approximately 3~4 years with positive correlation. This indicates that the N34Var leads the variability of PDV2, suggesting that the Pacific mean state, which is identified by the PDV2, is due to a residual associated with larger or small ENSO amplitude. Yeh, Sang‐Wook, and Ben P. Kirtman. Pacific decadal variability and decadal ENSO amplitude modulation. Geophysical research letters 32.5 (2005). This negative phase may prove to be briefer than usual. If it were to last only until the middle or end of the decade this would be largely in keeping with the IPO’s shorter periodicity. In addition to significant pentadecadal signals both for winter and spring seasons, a signature on about a 20-year timescale (hereafter referred to as bidecadal variability) is evident in the winter season. Looks like Arctic summer sea ice could be gone sooner than later. Maybe the 2016 prediction was not so far off after all. I would watch Neven’s Arctic Sea Ice Blog for more analysis. Nothing there yet, though. I said in another comment, “Keep an eye on the arctic sea ice over the next few years”. After looking at Fanney’s plot, I will amend that to “the next few weeks”—-this does NOT look promising. I agree. I think we have hit some tipping points and don’t even know it. 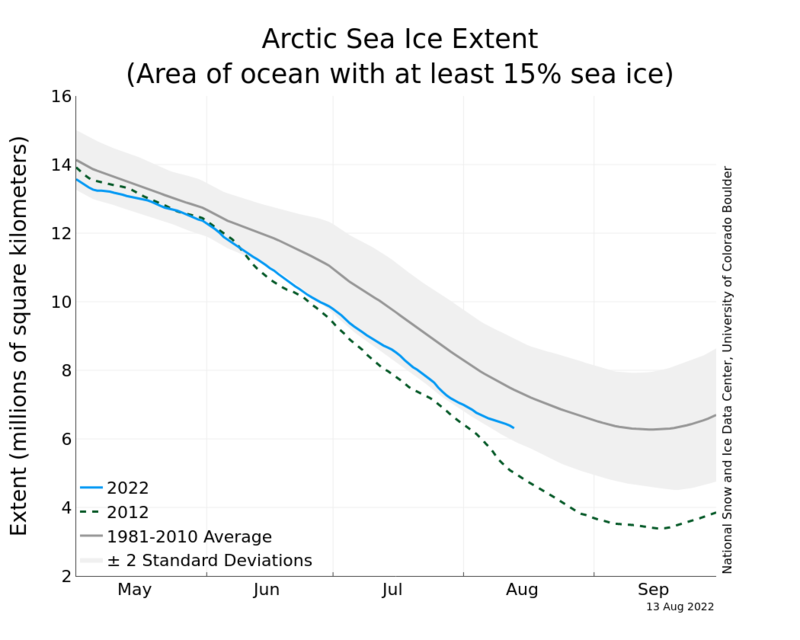 Keep an eye on the arctic sea ice over the next few years. Followed yesterday by the wettest February day in 45 years. With an El Nino driving the weather next year, we’ll be in the running for some heat records but no chance of a rainfall record.